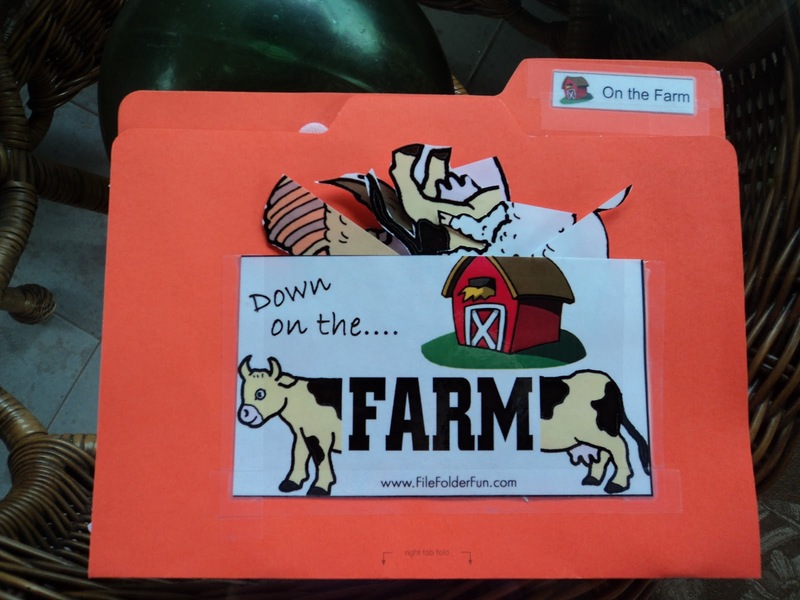 Eaton was excited to see new file folder game. That was a review of animals you can find on the farm. Matching activity is always fun for him. Thanks to Tutu and Me preschool I attend with my baby we were able to borrow some toddler activities home. 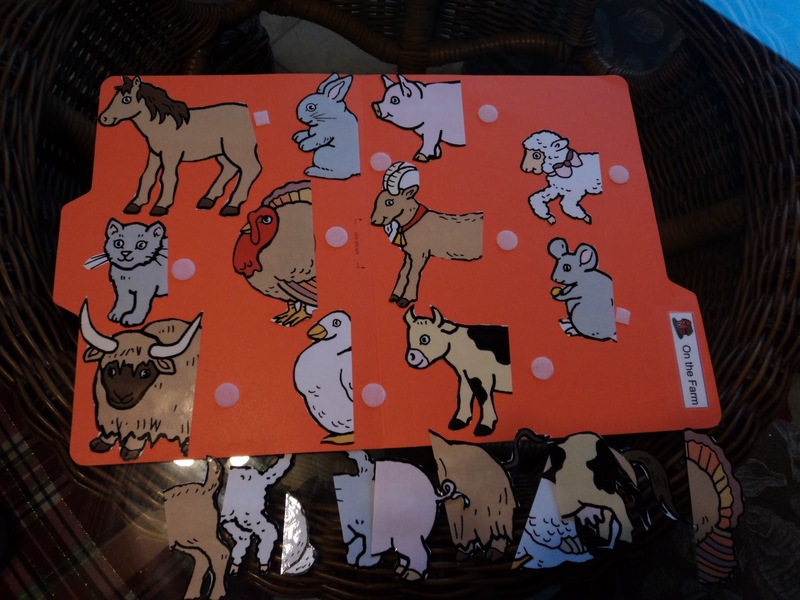 Recently I choose this puzzle that is similar to the file folder I prepared. Mahalo for sharing this one, my 2 dd loves it.